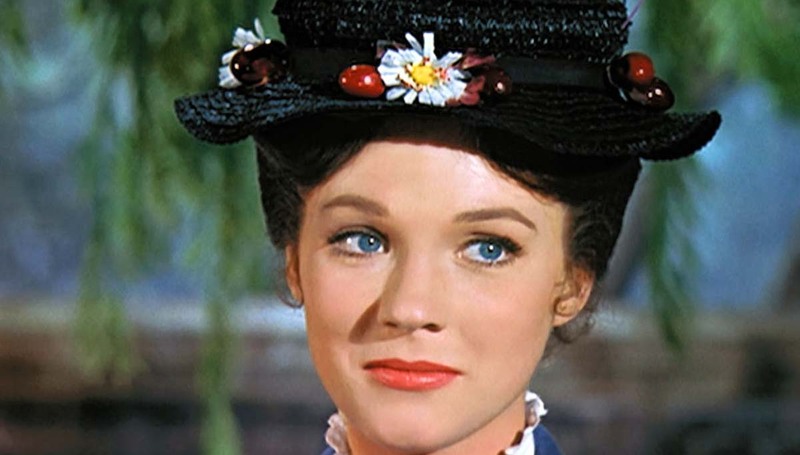 MARY POPPINS floated in on the breeze of the British Invasion in 1964, linking Julie Andrews and her cute tots with Bond, the Beatles & Becket. The Oscars went nuts, too, awarding it five–Best Actress (Andrews), Film Editing, Music Score, Song (“Chim-Chim Cher-ee”) and Visual Effects. 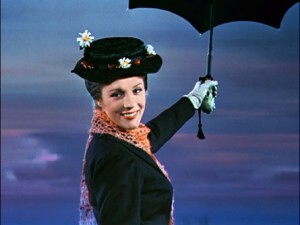 It had eight more nominations: Best Picture, Director (Robert Stephenson), Screenplay, Art Direction, Costume Design, Sound Mixing and Score Adaptation. 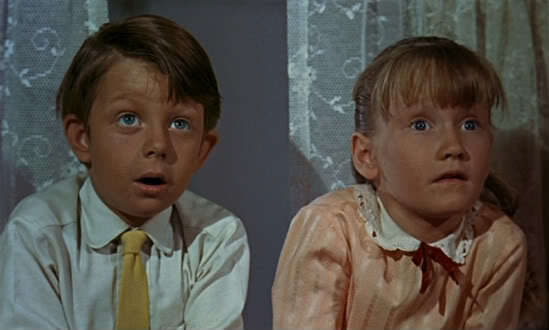 Folks, don’t hang me from London Bridge, but—while it’s a nice movie, and strikes fond memories— a spoonful of sugar notwithstanding, thirteen nominations?–please, it ain’t that good. Andrews is fine, naturally, but her Oscar would have been better served by waiting a year and giving it to her for The Sound Of Music, and instead awarding her prize for this to fellow nominee Sophia Loren’s marvelous job in Marriage Italian Style or Kim Stanley’s stunning nutcase in Seance On A Wet Afternoon. I’d take Editing, Score and Song and award them to Goldfinger. Van Dyke is energetic, but, Holy Rob Petrie! that god-awful accent set back US/England relations a generation. 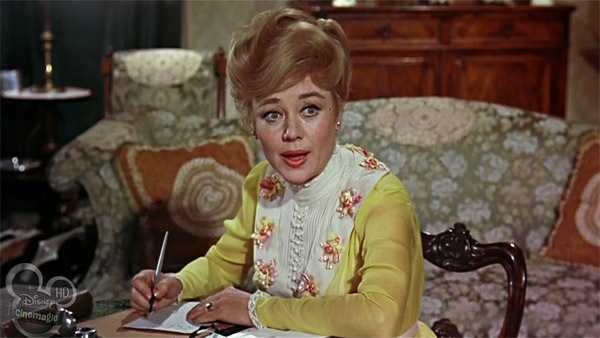 Glynis Johns (speaking of voices) is fun as ever, David Tomlinson amuses as the father and the two kids—Karen Dotrice and Matthew Garber— are cutiepies (they’d warmed up for Walt in the sweet The Three Lives Of Thomasina). 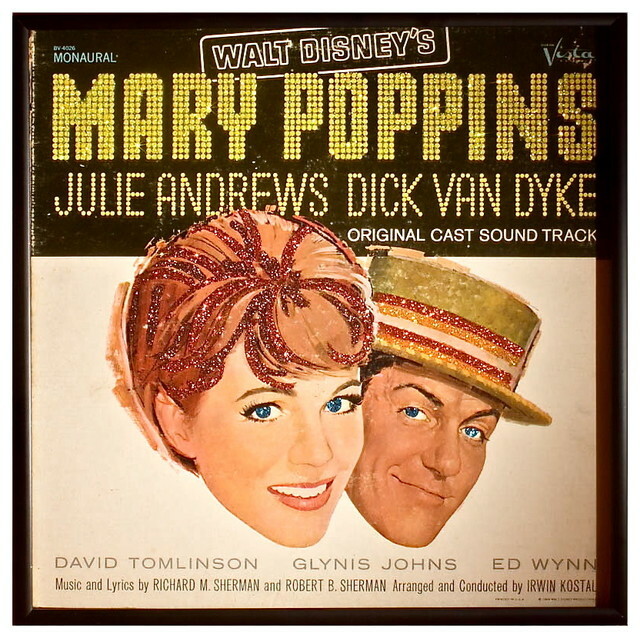 Ed Wynn just doesn’t do it for me (his laughing bit makes me wish Malcolm McDowell would show up), and several of the– count’ em– 17 songs only serve to pad the length a good twenty minutes beyond what was needed. 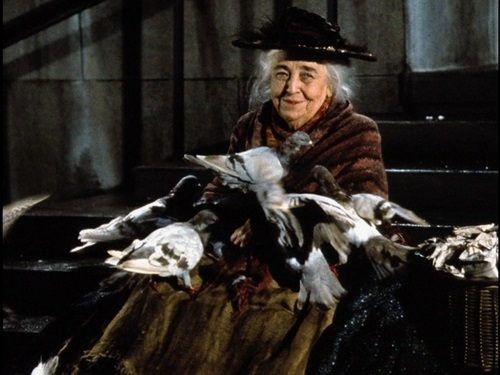 “Feed The Birds” is good (hard not to be touched by old Jane Darwell) and “Let’s Go Fly A Kite” can get you out of the rocker to belt forth with your pipes. The animation was novel back in LBJ days, not such a big deal now (spoiled children that we are). To this blasphemous pooper, —and bear in mind before you toss me in the Thames that I’m at least as sentimental as I am sourpuss— this beloved classic frankly plays better in memory than it does on a rewatch. With Hermione Baddeley, Reta Shaw, Reginald Owen, Arthur Treacher and Elsa Lanchester.